After 2 days of wandering around the overworld in his soggy slave diaper, Parker finally came to a town. However, Parker found that most of the people weren't will to talk to him, since he smelled foul. 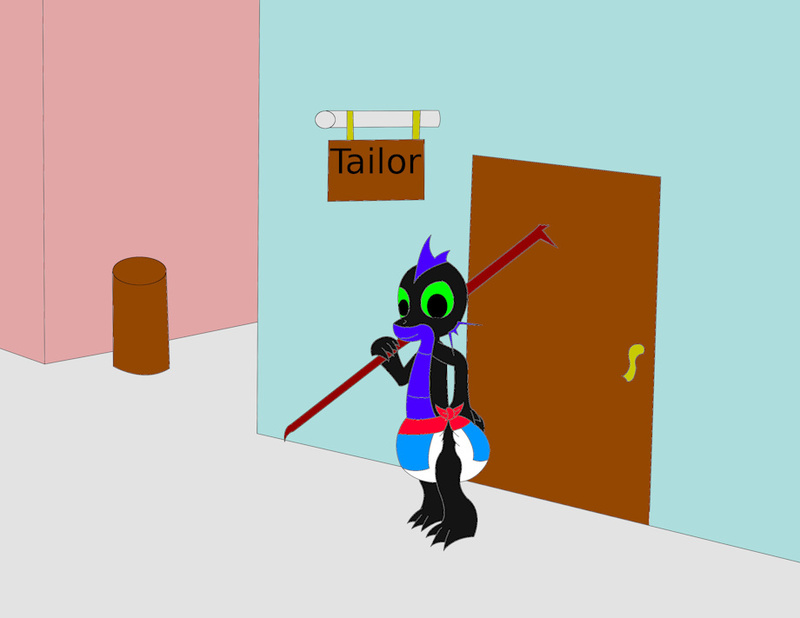 He decided to get some new clothes at the tailor, but found the Tailor had been robbed. Parker, using a wooden quarterstaff he found in the wild, found and beat down the robbers and returned the stolen goods. The Tailor was so pleased, he gave Parker a beautiful pelenka, which he instantly put on. Now he can continue his quest of self-discovery.